A City of Cedar Rapids inspector visited an apartment of a gentleman who was having issues with too much garbage in his apartment and self-neglect. 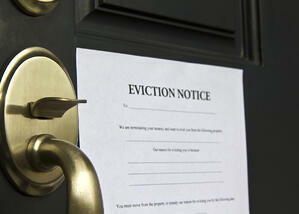 Rather than simply give him a 14-day notice to clean or be evicted, they called Aging Services for assistance. Our Care Coordinator and I&R Specialist worked with the city and the apartment manager to determine his immediate needs. This included apartment clean up, food insecurity issues, and transportation. The city rallied some volunteers to throw away garbage the gentleman was empowered to bag up on his own (he just couldn’t get to the dumpster) and worked with the apartment on a plan to move a garbage option closer to him. Our Care Coordinator worked with him to set up our transportation services to make a doctor’s appointment and get to the grocery store, helped meet immediate food needs with a gift card and food pantry information, and started to develop a care plan. At the final visit, the Care Coordinator ensured the gentleman he was no longer at risk for eviction. He had the resources to prevent garbage build up and received additional resources for the future. The coordinator also helped him apply for a government phone, so he would have better contact with the family who live outside our community and set up home health services to meet ongoing health and safety needs.